There are some places in Kalimpong that are so legendary; visiting them can be equated with making a pilgrimage. Among them all, the Haat Bazar holds the most sacred place for anyone who is not from there. I remember as kids, whenever we visited Kalimpong our parents would take us to Haat Bazar in search of goodies that couldn’t be found elsewhere in our Darjeeling region. Be they the best quality Dalley, to the ever elusive Kaulo, to Gundruk, Sinki, Kinema and Churpi of the highest quality – Haat Bazar held the key to everything holy and sacred to the hill palette. 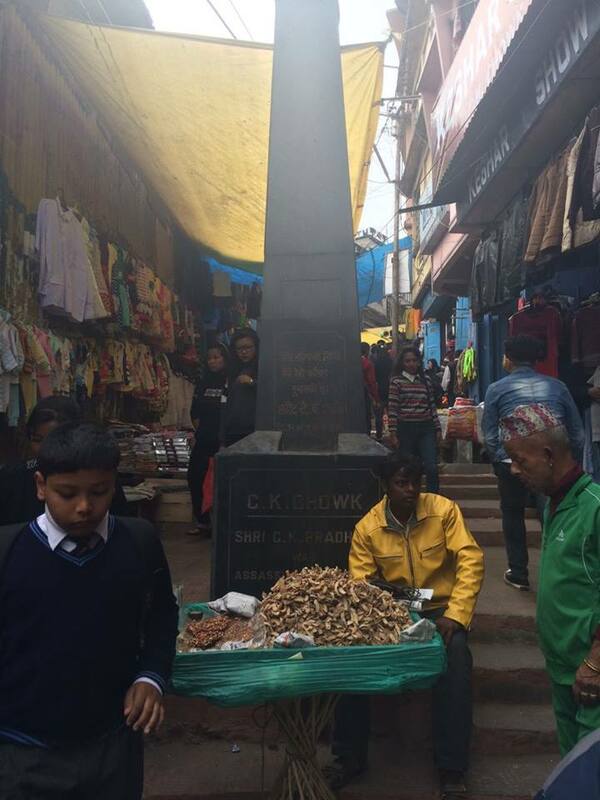 Haat Bazar in Kalimpong not only served as a market but also as an important centre for cultural exchange. 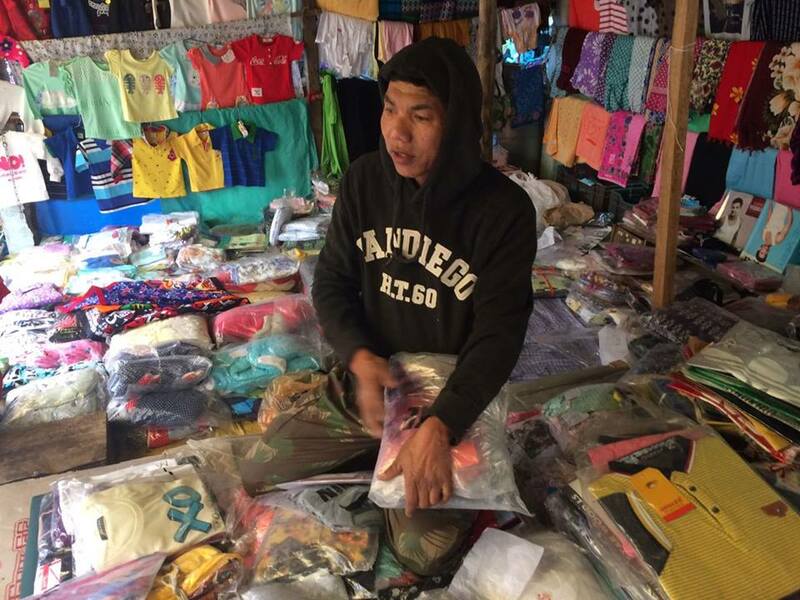 Traders from Tibet, Bhutan, Sikkim, Nepal and Darjeeling hills would meet and converge in Kalimpong and exchange not only goods but also their cultural traits, thus allowing Haat Bazar to become an important place for cultural transformation. Ms Tshering Kipa on the extreme left, Mr. Subash in the middle and Ms. Dil Kumari extreme right. In my quest to get a feel for the new district of Kalimpong, this is where I headed to on that cold Wintery day. I walked the length of Haat Bazar and what I saw broke my heart. Almost all the shops were selling stuff that are not produced in Kalimpong or Darjeeling hills. 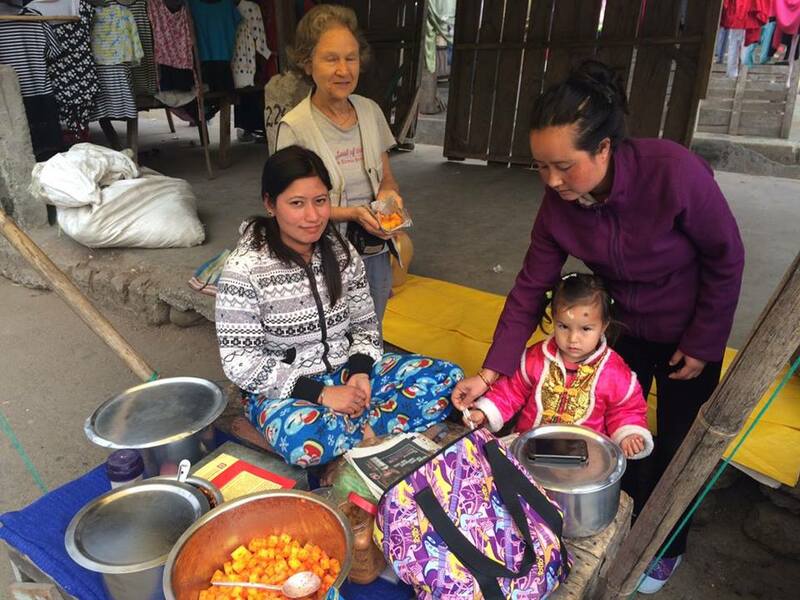 Most of the vegetables being sold were from the markets of Siliguri, shops selling cheap Khasa (Chinese) stuffs abound, and local faces selling local wares are as rare as the ever elusive Kaulo. In all of Haat Bazar, I could hardly see 10 shops that were owned by someone who has lived in our hills for over two generations. 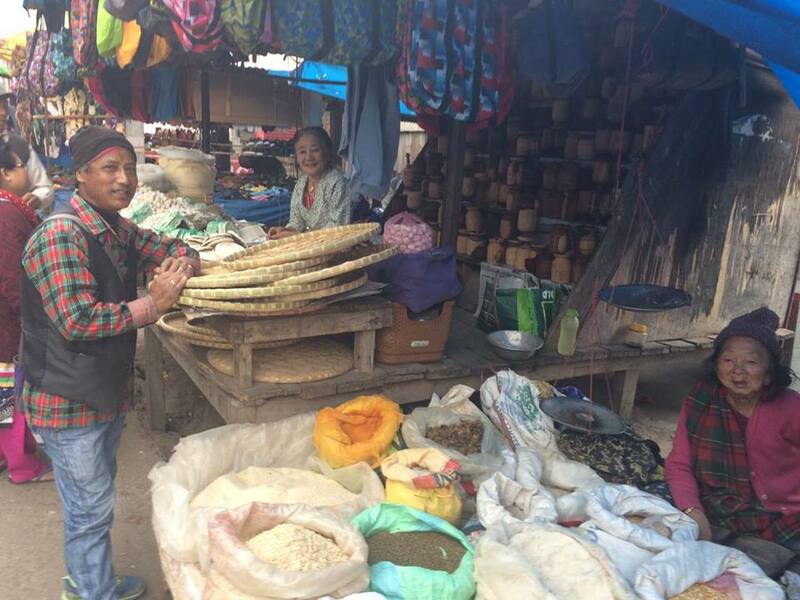 Majority of those who now own the shops in the Haat Bazar have migrated to Kalimpong in the past 20 years or less. Don’t get me wrong, I am not trying to be a racist, in essence I am a minority too, but what I found alarming is the fact that the Haat Bazar which was actually set up to help our local farmers sell their local produce; it wasn’t meant to be this market of vegetables from Siliguri and cheap Khasa made products being sold by those who have just arrived from the plains. I spent around 5 hours at the Haat Bazaar and spoke to many people there, among those I spoke to, a rare few stood out for their originality and uniqueness. The first “all local” store I came across was that of Ms Pema she tells me she is from 16th Mile, and she sold Marcha (local yeast) and Nanglo. I was amused, as Marcha is used for producing Alcohol, and to own a shop specializing in selling Marcha only seemed like a less lucrative business. But, Pema tells me I am wrong. She explains, “amamama bhai hamro pahade haru le khako raksi sabai Teesta ma halyo bhane, Teesta ko macha haru dhari maatcha… if we dump all the booze our hill people drink in Teesta, even the fishes would get drunk….” She adds, this is a thriving business and supports numerous families from Pedong, and Kasyong. 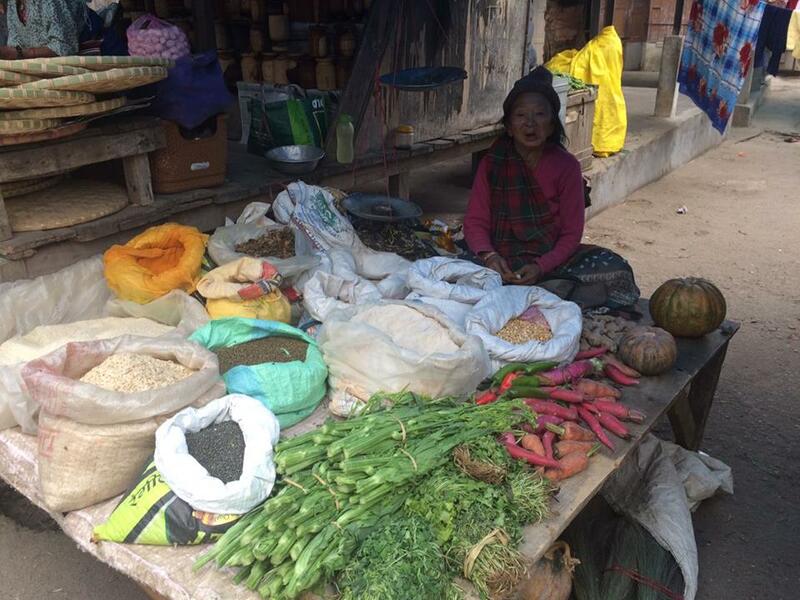 Also selling Marcha, Dahi ko Theki, Saang Dhup and other local goodies is Ms Tshering Kipa. She has been selling local goodies in Haat Bazar for over 62 years now and is the senior most shopkeeper at Haat Bazar. She told me, she was originally from Ghoom and came to Kalimpong after her elder sister got married to someone in Kalimpong. She also tells me, that when she started, there were only 7 permanent shops in Haat Bazar. It is tragic that now there are around 50 permanent shops and only around 7 are perhaps owned by the locals. She is one of the main suppliers of local products in Kalimpong, and she proudly states, “you can attribute the colourful Marcha designs to me, making Marcha is a very tedious and boring job… so I told the kids to design Marcha and make them more exciting, and to my utter surprise, they did design… aile dekhne sabai design bhako maracha hamro Pedong, Kasyong ko keta-keti haru le banaucha… kati ramro dekhcha…” Earlier they would only sell 2 types of Marcha – salty and sugary… now they are selling eight different kinds of Marcha. 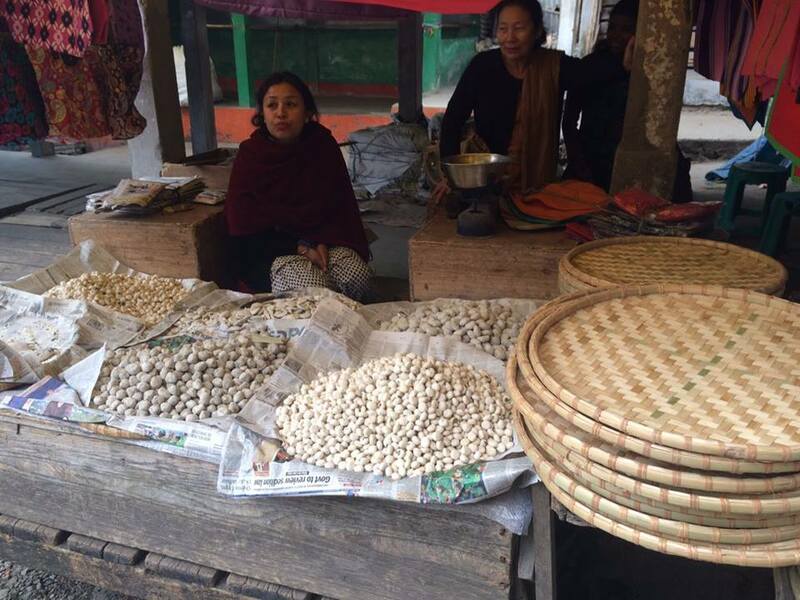 Since I didn’t want to leave her shop without buying anything, I asked for a pack of Sang Dhup, and the price of the same she says, “aru lai Rs 50 ho… timi 40 khali deu…” this kindness is something, you won’t find anywhere else, but in Kalimpong. Despite having travelled to Kalimpong on numerous occasions, I have never had the pleasure of trying Phambi, a Kalimpong original. Luckily for me, there were two Phambi sellers and one of them was ever smilling young lady Anju from 10 Mile. She informed me that her Grandmother sold Phambi at Haat Bazar for over 35 years, and now that her grandmother couldn’t, she took over the business. She revealed that Phambi is made from Mung Dal ko Fing ko Jhol, and is a celebrated local delicacy. Graciously they all agree to pose for me. 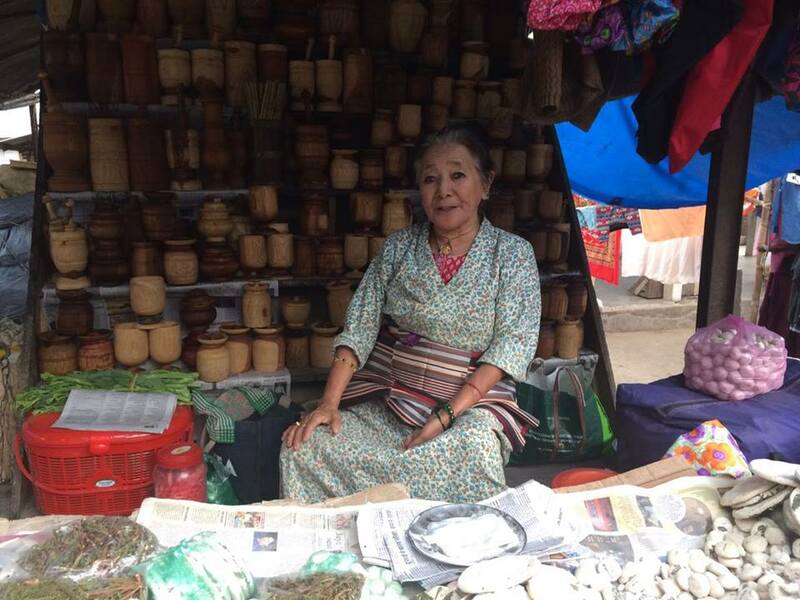 I decided to buy some Gundruk from her, and she sold me 200 grams for Rs 120… at Rs 600 per kg, it was very expensive, but given that, I was talking to a legend… I didn’t mind paying the same. I am happy at least she was keeping her shop and had not given up her shop to others. I leave the Haat Bazar on a somber note, a little worried about the fact that the place which was designed to help locals with their finances and economy has today become the point from where our wealth is drained down to the plains. I am, however, hopeful that the new district will help in stemming this trend and help in ushering in a new era for the people in Kalimpong. Whose bright future has the new district been formed to cater to? TheDC editorial note: To support local products and local businesses is important for the local economy to thrive… please buy locally… help our people and our economy.